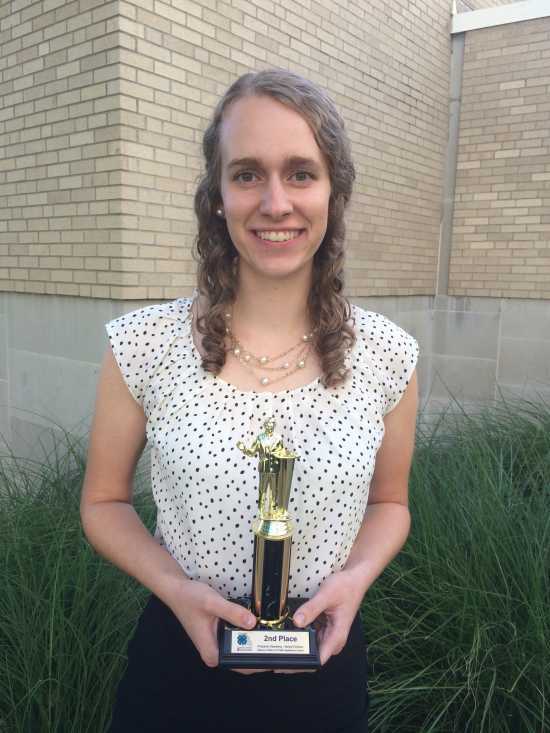 Renee Peters, a Cape Girardeau County 4-H member, participated in the State 4-H Public Speaking Contest on Sept. 10, at the University of Missouri campus in Columbia. She placed second overall in the senior division prepared speech. Her speech was titled “Making the Best Better.” There were 102 participants in the contest. Categories were prepared speech, extemporaneous speaking, technology assisted, dramatic and humorous interpretation. The three age divisions were juniors (ages 8-10), intermediate (ages 11-13) and senior (age 14 and over). Missouri 4-H is a community of over 300,000 youth ages 5-18 from rural farming communities, suburban schoolyards, and urban neighborhoods. 4-H youth are learning leadership, citizenship, and life skills, guided by over 10,000 caring adult volunteers statewide. University of Missouri Extension 4-H is the youth development program of the nation’s Cooperative Extension system. New members and volunteers are always welcome.